We are proud to announce the release of a monumental new product, The Bob Fitch "Topit Workshop." We believe this amazing training set will cause a paradigm shift in the way magicians think of using the Topit. Bob Fitch is a master of many things such as acting, tap dancing, voice training and much more. He is well known as a "magician fooler" and his reputation is well earned. So exactly how did Bob get this reputation? The first part of the answer is he uses the Fitch Kohler Professional Holdout system. The second part is Bob has extreme skill. The last part of the solution is that Bob is without question a master of the Topit. For years those magicians in the know have been waiting for Bob to tip his Topit work. The good news is the wait is over! 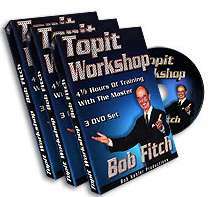 Bob Fitch's "Topit Workshop" is a 3 DVD set that contains 4.5 hours of training with the master. Shot and produced by Bob Kohler Magic in Las Vegas, the level of detail is what you expect and deserve. Bob tips it all! Nothing is left out! To give you a firm foundation, Bob goes through the history of the Topits use in magic by Pat Page, Senor Galindo, Michael Ammar, Carl Cloutier and of course his own designs. You'll learn the strength's and weaknesses of each design. This will make it easy for you to decide exactly how to integrate the Topit into your show! Once you understand how to integrate the Topit into you coat, shirt or costume Bob gets into the real core of Topit work. He covers different styles of use, all of the techniques to open the Topit. Perhaps the most enlightening feature of the DVDs is when Bob shows you how the five myths of the Topit are overcome. I won't tip it all here, but I'll give you a small taste.with these two principles; 1) You don't have to toss objects into the Topit. Bob teaches various methods that PLACE the object into the Topit. This knowledge alone is easily worth the price of the DVDs why because you will never miss again and toss an object on the floor! 2) The Topit can be used by ANYBODY with any body style small, short, tall, wide, thick or thin. Anyone can learn to use the Topit effectively! Also included are techniques to use the topit while seated at a table! You'll also learn a multitude of productions, changes, switches, and tosses. These are the moves that will soon have you popping the eyeballs out of your audiences. There's no doubt that Topit work is both visually stunning and diabolically deceptive especially when you integrate Bob's choreography and handling. Out of all of the techniques that have been developed by Topit users over the years the deadliest of them all is the Fitch Master Move. This technique is taught here for the first time. It's very easy to do, yet the simple choreography virtually guarantees that even the sharpest spectators will never see a thing. Only a professional dancer like Bob could have invented it. Yes, there is a move, but there's absolutely no tell. The spectators won't see anything --and perhaps even more important is they won't FEEL like anything could have happened. The Master Move is so natural it goes by everyone! Once you've finished the lessons and techniques Bob teaches a ton of routines that apply the techniques with the proper choreography. The routines were chosen to give you an opportunity to integrate your new knowledge and get you up to speed as fast as possible. 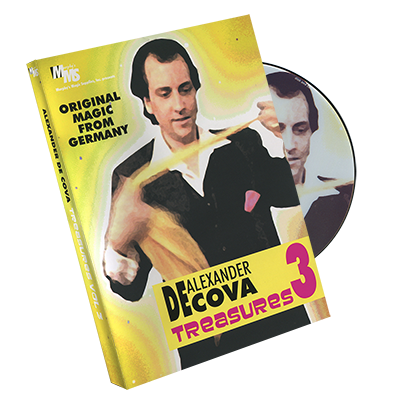 The Fitch Topit Workshop DVD set is truly the reference work all magician's must have to complete their library of essential building blocks of professional magic. The DVDs are encyclopedic in content. The scope is awesome. Bob has been working with the Topit for over 40 years. He's trained many professionals and has created many solutions for their shows. 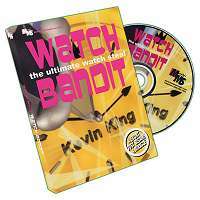 His complete knowledge of the Topit is covered from start to finish by this fabulous DVD set.